Creating and maintaining a classroom website or portal can time-consuming and taxing on a school’s servers. Even when using a free, online host like Weebly or Google, integrating a website with one’s curriculum and classroom community can be difficult. Of course, one can always turn to the myriad of online tools to help supplement a classroom website. One typical use for a classroom website that can be tedious is the constant updating of resources. In the past, we would have to edit our pages to include new and updated resources with hyperlinks, possibly adding descriptions or even additional pages. Instead of creating and updating resource pages, use social bookmarking tools like Delicious and Diigo. Both tools offer “bookmarklets” that work in almost any browser. This button allows easy bookmarking. By carefully including descriptions and thoughtful tags, users can easily create pages of resources under a variety of topics. One issue with maintaining a website is keeping it up-to-date in regards to classroom news and announcements. With most web sites, we have to actually edit the pages only to have to redo it periodically so that it appears updated. Additionally, passing along information this way leaves no opportunity for interaction and discussion. A blog, however, is easy to update while archiving past posts, plus it allows for parents, teachers, and students to respond and continue the discussion. Weebly features its own blogging tool, but tools such as WordPress, Blogger, and Tumblr can fill your blogging needs well. Some school districts have in-house learning portals or shared folders that allow teachers and students to pass files back and forth. However, this is not available everywhere or districts have limited server space. Two online tools can make sharing files easy. Google Docs isn’t just a tool for collaboration and creation. Google’s ample server space makes storing and sharing documents a breeze. The other great site for file sharing is DropBox which provides users a downloadable app for easy file transfer without navigating to and logging into a remote site. Some teachers would like to create a working space for students to display their work online. Uploading and adding student content to one’s site can be quite the endeavor. Setting up a wiki at a site like Wikispaces can allow students to upload, publish, and share on their own. The commenting feature makes it easy for additional interaction. Back when we in eMINTS would help teachers create calendars from scratch using web-authoring software, one of the greatest challenges was creating calendars. These calendars either required multiple pages on a site or would require regular updates. By using a calendar through Google or Yahoo, users can keep a public calendar that updates every time they enter events. Users have the option of linking their audience directly to calendars or embedding calendars in their home sites. A website is limited in that it is absent the personal interaction we have with students on a daily basis in class. However, social networking can fill that void. Facebook’s group feature makes it easy for classes to interact in as public or private a forum as necessary without teachers worrying about friending their students. Twitter is a bit more open to the rest of the web, but through the use of groups, hashtags, and tools like Tweetdeck, discussion is easy to manage. However, if either of these tools are inaccessible at your school, there is always the school-friendly option at Edmodo. Whatever your website needs may be, there are creative ways to use online tools to help you make the most out of your site’s effectiveness. 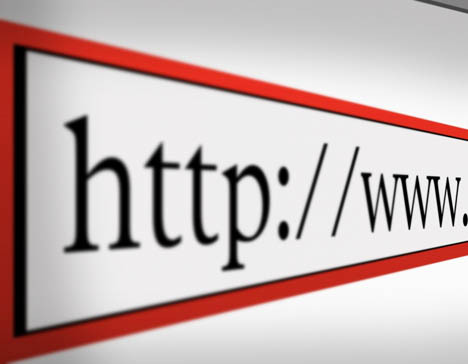 Hacking an online tool to make it suit your educational needs is often an efficient way to make a website more than just…well, a website. How have you used online applications to enhance your classroom website? What is something you want to do with your site that you just can’t figure out using online applications? How might you envision using web apps to enhance a classroom website? [Previously] Zac Early is an instructional specialist and blogger for the eMINTS National Center. Happy Monday, dear readers! I hope you are staying warm as Winter struggles to take hold of our spirits as well as our wardrobes. Also in play is the holiday season as Christmas, Hanukkah, Kwanza, and Winter Solstice are fast approaching. So, things are moving here as well as in the schools. 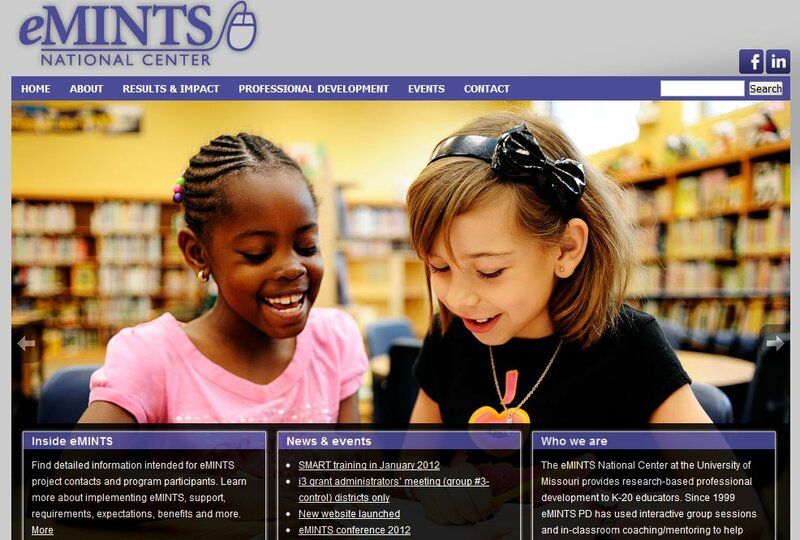 With the wintry winds and seasonal festivities, eMINTS is unveiling its new website. You’ll find it at the same URL, but the look is completely different and a little more user friendly. Personally, I also think it’s aesthetically more pleasing. Be sure to stop by and see what has changed.